Coffee lover or not, you definitely have to try this place. Everything here is true Italian style. Order and pay at the cashier, take your receipt to the barista and get served. Drink up and leave. One espresso – one minute. The place is very popular, always busy, but the queue moves quite fast. There’s a bustling atmosphere, with locals, tourists and the sound of coffee cups. The regular espresso is obviously really strong with an unique flavorand I think is the best coffee 1E can buy, but what makes the place popular among tourist is their out of this world granita con panna. It’s a cup of heaven. 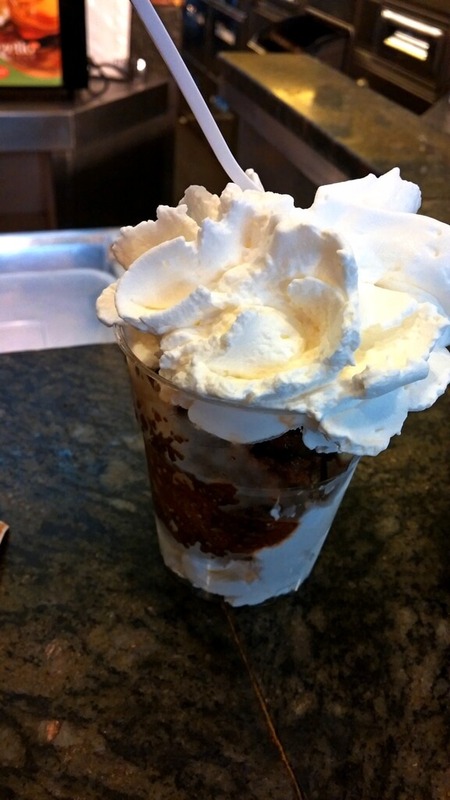 A frozen, slushy, crystallized coffee topped with fresh whipped cream, perfect to cool you off on a hot day, or rejuvenate you on any day. They roast their own coffee and you can watch the process. You can even buy coffee beans to take home. 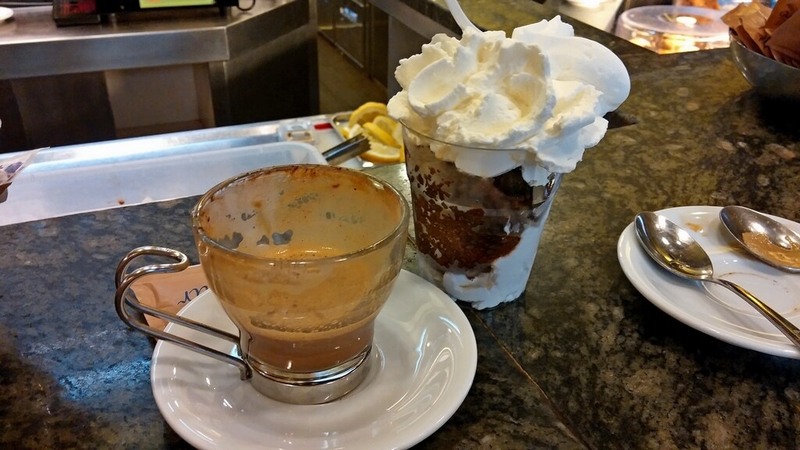 Other places with real good coffee is Il Caffé Sant’Eustacchio (try the hazelnut espresso) and Cafe Greco, close to Piazza Spagna, one of Europe’s oldest cafés, a place where artists and intellectuals such as Goethe and Gogol used to meet for a cup of coffee. Hi Lucian, and a very Merry Christmas to you! While I agree that Tazza d’Oro offers locals and tourists a wonderful experience, I wonder if you have had the pleasure of tasting Cup of Luxury from Seattle, WA? Handcrafted, roasted on order, independently rated five-stars and consistently awarded 100 points for appearance, aroma, taste and finish. Crafted for coffee connoisseurs, they are the first American to be nominated as luxury coffee roaster of the year, and the first company in the world to sweep all four categories. They are worth looking up.